The following spiritually eclectic and pagan blogs are in effect as of 23 October 2012 and will be updated/removed as necessary. If you write an eclectic blog or a pagan blog and don’t see your link below, please leave a message in the comments–we want this directory to be complete and up-to-date! For blogs with broken links, those will appear below with a line through the blog’s name until a better link is provided. A blog’s appearance in this directory does not necessarily constitute The Spiritual Eclectic’s agreement with its views. 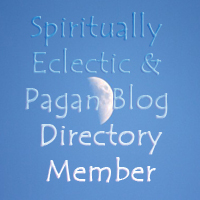 To find out why and how this directory was put together, read The Mystery of the Missing Pagan Blogs. Have you subscribed to our blog yet? To stay up to date, click the icon to the left or visit us our main page. Pls, if you don’t see your blog on here, add it in the comments and I’ll add it to the list. We spent about 80 hours scouring the web for blogs, but I’m sure we didn’t get them all. Let’s make this a comprehensive list! May I recommend The Catbox by Cat Treadwell? She’s a recently-published Druid priest in the UK. Done, Sophia. She has a lovely writing voice. Thanks for putting this together. I see a lot of the blogs I follow on this list, and I’ve found several new ones (new to me) already. I just found this blog, thanks to you including Armed Venus in your list. Thanks for the inclusion. See ya around! Thx–I’ll update the list nightly if I can, after I check out each request. Eala, I added both yours and Magaly’s. Lesley, I added your new blog. I think I have been in hibernation or something for a few months. Why does it seem longer to me? Anyway I have had some urges to contact you again, and I have learned to follow these prompts. I don’t always avoid trouble that way, but I avoid more by following then ignoring, I have learned. And I see you have started something that I like, that is the Spiritual Eclectic blog. I have for a long time been interested in “spiritual awakening” or the higher consciousness contact that is said to allow one into the midst of ultimate truth, from which he never languishes and wallows in the Sloth of Despond for ever more wondering what in the hell it is all about. You might not be the Mother of the Spiritual Eclectic, but you are the aunt of it or cousin of it at least for sure. In the past almost all teachings and movement as regards “union with God” looks back on previous cultures and ways of life and tries to adapt to the old ways. Your view could be the first that says Hey guys we live in the modern world and we have to be God’s son or daughter from this world with all the crazy and new things we have to deal with daily, and if nobody else understands that then God certainly does. I wasn’t sure of your email address so I thought I would send to an old one I had (above) and also will post on the blog (somewhere). By the way I have to say you look great in those photos. Life has been treating you good, even though you sound as you always have, that is having way too much to do and too much responsibility. 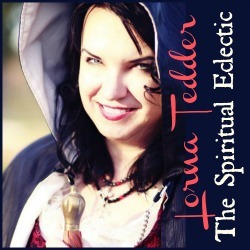 I would like to ask to be a member of the Spiritual Eclectic blog with your kind permission. I promise to squelch some of those bazarros I sprung on you in the past (but not as bad as some I sprung on others). I believe I can gain a lot from this blog, and maybe even pass something on to someone that they would appreciate. I, as in the past, can always pass on to just about everyone a book they will refuse as having no interest in it whatsoever. I remember some of those you bounced back to me at something a little under the speed of light. But I never quit, as you will see below. As I told you I am very interested in the “awakening process”. But I am not that good at meditation, and very likely there are other ways. Also as lesser topic of spiritual progress I have become interested in out of the body travel, that is “Astral Projection”. I want to go into it and hopefully some of the members of the blog can help me. I am hoping that it is something more than lucid dreaming, or would astral projection and lucid dreaming be the same thing and with the same spiritual validity? If I can recommend the following books. The first one might be one of the best on attainment of higher consciousness in our time. It has some very beautiful and artistic passages. The other two are on astral travel, the last one being real short. If any don’t come up good for you let me know and I will send them to you via email. Sometimes these url codes are tricky, but I have each one and all I have to do is attach it to and email to you. Lorna, it has been good to be in touch with you again. PS: This Spiritual/Pagan Directory is wonderful. I hope I am allowed to use it. Thank you for doing it. It must have been a tough one to do. Hey, Bob! Good to hear from you again. You know, every time I see a collie, I think of you? LOL. No membership required, though the first couple of comments are moderated to keep out trolls 🙂 I’ve been doing this blog a while now, and it does tend to move across various aspects of life but all focused on walking the sacred path. Mine, at least. I’ve done both lucid dreaming and ONCE at astral projection–different things in my perspective. Not having a lot of time to read right now, between work and…work…and then writing. But I’m enjoying the work immensely. I’ll hang on to what you’ve sent me for when my schedule is a little less hectic. Marienne, I added the Witchy Wannabe blog. Thx! I hope I have the right reply block here. It seems to dance away on me. Lorna on your lucid dreaming and astral projections experiences did you go into this on some of your writings? I would like to check it out. And to comment on the “motto” of this blog “Not one size fits all,” it would be this comment: I am coming around to thinking well “One size fits one person. the one who is wearing it.” Another thing I wanted to ask your view on, or anyone, is what do you think of artificial intelligence in a few years offering to humanity totally different lives including many more years of life and even unlimited numbers of them. In other words technology, some think, can offer us eternal life, in our current soul incarnation. Could that be in the Creator’s plan somehow? I have been reading Ray Kurzweil lately and he will blow your mind. Check him on wikipedia. He is an advocate of the “Singularity”. One of his latest projects is he says is to raise his father from the dead via harnessing his DNA, molecular and genetic codes into computer software programs and have him come back in full. This is from a man who is a multi millionaire via his inventions. I find myself not ignoring this guy. Am I losing it? Or have? Can we be too skeptical about anything spiritual or technical? Or otherwise. I have a good friend or two that totally believe in aliens. What about that? Bob, easy. You were such a fan of Terhune. A fuller response to your questions later. OK L. you got me again. Well I asked for it. That was a very small detail. Where do you get such recall? Even I tend to forget that. OK I have learned again not to test you. In your own interest, touche. Click on the above for a download link for the Sacred G Flower of Life Design and also the three Flower of Life Meditations. it up on a wall, or use it as a screensaver or as part of a slide show. David Weitzman (in Israel) specialized in creating jewelry based on sacred geometric patterns. These special designs and harmonies are said to cleanse cells, clear the mind of limiting beliefs, and attain higher energy. This one goes on my bulletin board. it up on a wall, or use it as a screensaver or as part of a slide show. I have it on my bulletin board. David Weitzman (in Israel) specializes in creating jewelry based on sacred geometric patterns. These special designs and harmonies help cleanse cells, clear the mind of limiting beliefs, and attain higher energy. Contact me direct if these links don’t come up for some reason. Linking to my blog, Urban Meliad. 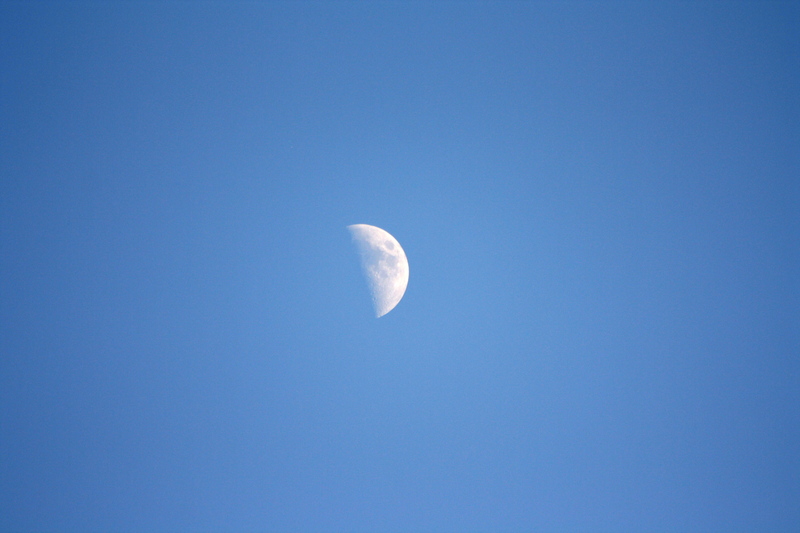 Would you please link my blog, Jack-a-dreams? Thanks. The Cosmic Keys Blog is the home of Cosmic Weather and other metaphysical musings by astrologer and intuitive counselor Irma Kaye Sawyer.